Are you ready for a new adventure in professional development?! Earn CEUs for courses in the Lilead Leaders Program, the next step for school library leaders in transformational change! 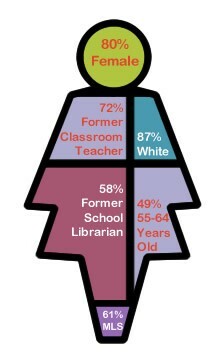 A visual of the demographic findings of the Lilead Survey. the Lilead Leaders Program, providing online professional education to all school library leaders. The Lilead Project, est. July 1, 2011.